In this week’s digital news roundup we’re explaining the new TruView YouTube ads, helping you to find Wally on Google Maps, breaking down if AI will take over journalism, and covering how the Instagram algorithm update could affect your business. 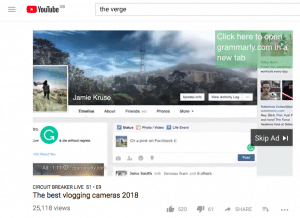 This week saw YouTube introduce a new skippable option for short-form branding ads, called TrueView for Reach. According to the update on the Google Adwords blog, the new ad format will bridge the gap between ‘commodity reach’ and reach where people are actually paying attention. To do this, TrueView for Reach works to combine the popular in-stream ad format, built on user choice, paired with the simplicity of CPM buying for simpler overall pricing. The TrueView in-stream ads are paid for by advertisers after viewers watch 30 seconds, the video ends, or viewers interact with the ads. With the new TrueView for Reach format, ads can run anywhere from six to under 30 seconds – and can be an extension from six-second bumper ads for brands who are already running those assets. Google conducted a study with Ipsos which found that people are three times more likely to pay attention to online video ads compared to TV ads, with a 2017 study across the world showing bumper ads drove an average Ad Recall of more than 20%. With stats this convincing, and YouTube’s updates around custom intent audiences, this could become a more and more attractive option for brands looking to boost their reach. If you’ve been checking out our roundups over the last few weeks, you’ll have seen that Google Maps has been launching a host of new features. The latest new addition came in the form of a classic Google April Fools’ Day joke, although this time we’ve been able to enjoy it for the whole week. 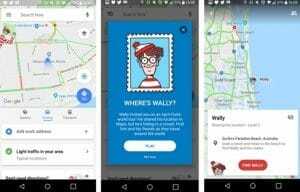 Now as well as helping you to find your next destination, Google Maps will also be helping you find Wally thanks to its new Where’s Wally? game. The game sees you transported across the globe on an April Fools’ Day world tour in a bid to help find Wally, as well as some of his lesser-known pals. Whether you’re more of a fan of the Mario Kart update for Mario Day, like me, or you prefer hunting for Wally, one thing’s for sure – map reading is getting a whole lot more fun. Wonder which nostalgic character they’re going to opt for next? Who remembers Apple admitting that they were intentionally throttling the performance of iPhones, without informing users? Ah, the good ol’ days. Well, now it seems that the tech powerhouse is giving those users a bit of power back, with the option to turn disable this throttling. The move comes with the launch of iOS 11.3, and Apple is sticking to their guns when it comes to recommending that people don’t, in fact, disable the function. They say this slowed performance was to prevent freezing or sudden shutdowns on older devices, caused by batteries that could no longer cope with certain apps or functions as the software updates. However, the resounding thought was that this had the added benefit of encouraging customers to get so frustrated with their super slow device that they rush out and buy a new iPhone, in a bid to once again enjoy the wonders of a speedy smartphone. I took to Twitter to see how people were finding the update and didn’t come across many glowing reviews. 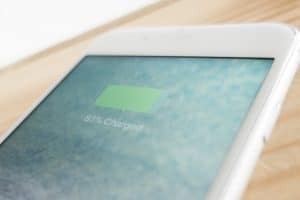 In fact, many users were tagging Apple and complaining that the switch is, in fact, making their battery performance even worse – even on new devices. Find out how to do it for yourself, if you’re brave enough, on The Next Web. This week, The Guardian reported that “more money will be spent advertising on social media networks than on the entire TV ad market within two years”. A bold statement, particularly in the ongoing aftermath of the Facebook data scandal. In last week’s roundup we covered a study that showed global online ad spend has been increasing, and this latest report by Emarketer shows the scale with which that’s true. Despite talks of ad boycotts from giants like Unilever and Procter & Gamble, Facebook is still predicted to scoop 84% of the £3.3 billion that’s spent on social media networks in the UK this year. That means, by 2020 experts predict Facebook will make around £3.8 billion in UK ad spend – almost the same as the entire commercial TV market, at £4.04 billion. 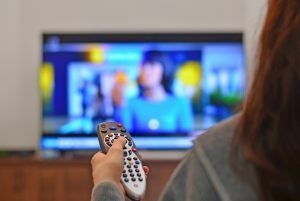 This is in part due to a rise in tech-savvy younger users, who’re causing a serious decline in TV ratings – and a serious increase in social usage. Bill Fisher, UK senior analyst at eMarketer, said: “Advertisers follow eyeballs, and there are plenty of eyeballs on social media.” Our paid social guru Cara highlighted that TV ads are limited in their appeal, due to the same message being shown to all people who are watching at a certain time. This is not the case for social media ads, which can be highly targeted – allowing for more personalisation, and more success. See the full range of stats in The Guardian. What does Instagram’s updated algorithm mean for your brand? 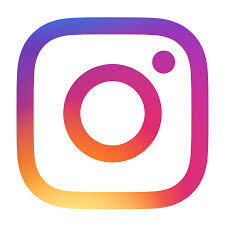 As the cries of ‘bring back the chronological timeline’ continue to ring out in the digital world, it seems that Instagram has now semi-listenened. ‘Semi’ being the keyword. The platform recently announced that it was making changes to ensure that new posts are more likely to appear at the top of the feed, as well as launching a ‘New Posts’ button – allowing you to choose when you want your feed to refresh, instead of it automatically happening. Social Media Today discuss the potential for more changes on the platform in the future, which could be a nod towards the Facebook-owned site pulling API access from developers in a bid to reduce, if not remove, third-party app access – potentially in response to Cambridge Analytica ripples. Bex Bell, one of our Digital Creatives, felt that actually, the change won’t hugely affect the strategy businesses should take with their Instagram profile. “Until they roll out the changes, we won’t know where the balance lies between ‘new’ and ‘relevant’. Good, engaging content will always be the priority for a strong feed. Hopefully, this will give smaller businesses and micro influencers the chance to get fresh content into their audience’s timelines. It will also be interesting to see if it affects how Instagram stories are displayed!” she explained. As the months go by, it seems like more and more industries are starting to incorporate AI in a bid to make things bigger, better, and faster than ever before. 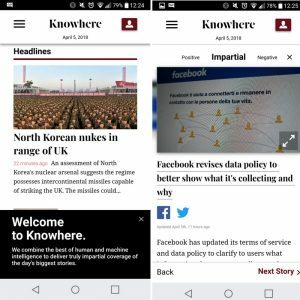 Now it seems that the world of journalism is the next to make the leap, thanks to the launch of Knowhere – a site that uses machine learning to cover the day’s top stories with either a left, right or impartial lean to each version. CEO and editor-in-chief Nathaniel Barling told Digital Trends that he was inspired by his dad, who was an investigative journalist and used to tell him to read three different newspapers to get a balanced view of the day’s events. “Knowhere is most useful for reaching one simple, but extremely hard to achieve, goal: finding the truth,” said Barling. “We present our readers with the facts of each story, and the narratives being built around them so that they can develop their own informed opinions. I discussed this concept with a fellow journalism graduate here at Giant Towers, Amber Vellacott, and we had mixed views. Although Barling hopes this will encourage bias-free reading, it could, in fact, allow people to only engage with content that supports their beliefs. Value, knowledge and progression as a population come from having our views challenged, rather than being able to surround ourselves with people who think like we do. “I think the future of journalism would be unbiased narratives that don’t side with any particular part of the political spectrum – not that it’ll happen any time soon. But segregating stories in this way won’t help those who are looking for a balanced perspective to help influence their opinions and approach to politics,” said Amber. What do you think of this approach? Let us know in the comments. And just like that, another week is over! Head back next week for another instalment of our digital news roundup, or catch us on Twitter if you want to share your thoughts on any of the stories. See you there. Interested in reading more of our work? 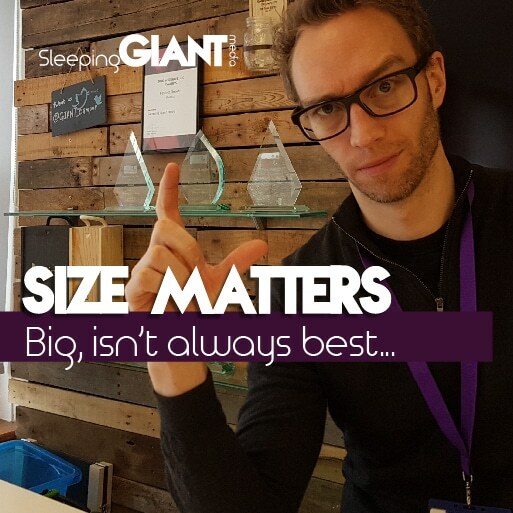 Hear from our CEO Luke Quilter in his latest blog!